Health blogger and medical school student Kris Gunnars and corporate registered dietitian Paul Krieger join our co-hosts Dietitian Cassie and Jimmy Moore today in this special cholesterol-focused Episode 87 of "Low-Carb Conversations With Jimmy Moore & Friends!" It's been a little while since we've been on the air, but we're back with a bang today here on "Low-Carb Conversations" celebrating the long-awaited release of Jimmy's brand new book Cholesterol Clarity: What The HDL Is Wrong With My Numbers? (also available in Kindle e-book) with a special edition of the show dedicated solely to health headlines that deal with the subject of cholesterol. And in addition to our fabulous co-hosts Jimmy and Dietitian Cassie, we are pleased to welcome two highly-qualified guests to take on such a complex topic--returning guest friend and medical school student Kris Gunnars from the "Authority Nutrition" blog and registered dietitian Paul Kriegler from "Lifetime WeightLoss." Listen to them take on these cholesterol health headlines along with Jimmy and Dietitian Cassie, including why cholesterol and saturated fat are not the enemy, the role of statin medications in the treatment of cholesterol, the shocking information about cholesterol communicated by the U.S. Department of Health and Human Services in a 2013 pamphlet, the new knowledge we have about cholesterol, former President George W. Bush's recent blocked artery story, Paul's column on the real deal on lipids, Kris' column on cholesterol and nutrition myths that pervade our culture and more! So pull up a chair, grab a cup of coffee and let's talk! Because we are a listener-supported show, we need the donations of listeners like YOU to help keep it going. While we've been gone, we appreciate all the fabulous donations sent in by our faithful listeners, including Shaun, Nicole, Kenneth, Patricia, Kim, Carol, David, Barbara, Margaret, Nancy, John, Kari, Elaine, Karen, Philip, Regina, Nadine, Wendy, Greg, Linda, Penny, Gillian, Janice, Sheila and Jeff! THANK YOU GUYS SO MUCH!!! While a lot of people are loving the weekly look at the health headlines of the day from a real food, low-carb, Paleo outlook we provide on this podcast, the reality is we're not getting the financial support we need to keep this show on the air as often as we'd like. If you've been positively impacted by "Low-Carb Conversations," then consider making a donation of ANY size to help us stay on the air. Jimmy and Dietitian Cassie DEFINITELY want the show to stay alive and continue providing a sane voice of reason in response to the absurdity that tends to happen with health headlines. CLICK HERE if you want to keep hearing "Low-Carb Conversations" in the months and years to come! 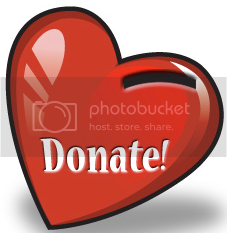 Your donation is greatly appreciated. - Paul Kriegler from "Lifetime WeightLoss"
- Do You Know Your Cholesterol Levels? Weight loss and health blogger Justin "Dez" Dessonville and registered dietitian/real foodie Mary Trenda join our co-hosts Dietitian Cassie and Jimmy Moore today in Episode 86 of "Low-Carb Conversations With Jimmy Moore & Friends!" 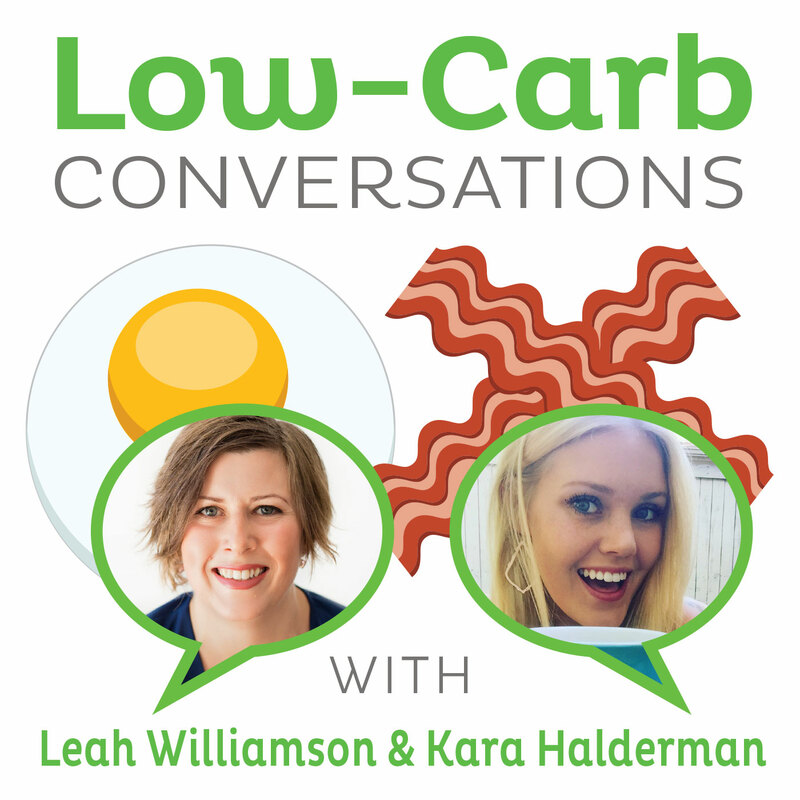 After taking off last week for the Independence Day holiday, we're back today with what could quite possibly be our final episode of "Low-Carb Conversations." Because we are a listener-supported show, we need the donations of listeners like YOU to help keep it going. While a lot of people are loving the weekly look at the health headlines of the day from a real food, low-carb, Paleo outlook we provide on this podcast, the reality is we're not getting the financial support we need to keep this show on the air as often as we'd like. To that end, we'll be taking the next few weeks off to see if interest begins to pick up enough for us to return to the air in August. If not, then this will sadly be the final episode. Jimmy and Dietitian Cassie DEFINITELY want the show to stay alive and continue providing a sane voice of reason in response to the absurdity that tends to happen with health headlines. CLICK HERE if you want to keep hearing "Low-Carb Conversations" in the months and years to come! Your donation of ANY amount is greatly appreciated. Today we are pleased to welcome an inspiring weight loss success story in Justin Dessonville from the "I Am Dez" blog and registered dietitian and real food advocate Mary Trenda from the "Considering You" blog to chime in with Jimmy and Dietitian Cassie on the various headlines making news in the world of health, including what's behind the new proclamation from the so-called health "experts" that omega-6-rich vegetable oils are healthy, why triglycerides are a much bigger deal than total cholesterol in heart disease, a closer look at why carbohydrates are a culprit in disease, a new study showing the Atkins diet produces the best long-term weight loss success, how marketing foods as "healthy" has actually led to even more obesity and disease, the paradoxical use of high-fat foods in an effective weight loss plan, a public health professor's one-week low-carb diet experiment and so much more! Now it's time (perhaps for the final time) to pull up a chair, grab a cup of coffee and let's talk! - "PS from the low carb dabbler"
Paleo nutrition experts and health podcasters Mary Vance and Caitlin Weeks join our co-hosts Dietitian Cassie and Jimmy Moore today in Episode 85 of "Low-Carb Conversations With Jimmy Moore & Friends!" We've got a special treat in store for you in today's show as we welcome fellow health podcasters Mary Vance and Caitlin Weeks from the brand new "Health Nuts Podcast" sharing their nutritional experience with the Paleo way of life. They are happy to join Cassie and Jimmy is discussing the health headlines of the day, including the infatuation with the new watermelon Oreo cookie flavor, the American Medical Association's insane decision to classify obesity as an official disease, how it's possible people in the UK are gaining weight despite eating less calories, what the new calorie counts listed on the menu at Starbucks will mean, the one dietary change various health experts think average Americans should make, whether sitting is the new smoking, a critical look at the low-term effects of the low-fat diet experiment and so much more! Plus, don't miss Mary's "Meat Cookies" recipe that will pique your curiosity. Now it's time to pull up a chair, grab a cup of coffee and let's talk. - Starbucks Is Adding Calorie Counts, But Will It Curb Consumption? - The Experts: What's the One Dietary Change The Average American Should Make? - Has Low Fat Failed the Test of Time? It's another week of checking out the very latest health headlines and dissecting them for you with educated opinions from some of your fellow peeps from the low-carb and Paleo community. Today we have two more fabulous guest friends in Jack Yee from the "Mental Toughness Guy" blog and our Low-Carb Cruise buddy Laura Kaplan from the brand new "N Equals One More" blog (inspired by our very own Jimmy Moore) to jibber-jabber with Cassie and Jimmy about the deceptive marketing used by food companies pushing low-fat products, an NFL defensive lineman who was cut simply for being diagnosed with Type 2 diabetes, what impact consuming Splenda has on insulin levels, what a healthy breakfast looks like in various places around the world, the metabolic difference between a banana and cookies, the skepticism about the scientific validity of blood-type diets and more! Plus, don't miss Laura's mouthwatering low-carb sauced pork chops recipe at the end. So pull up a chair, grab a cup of coffee and let's talk. - So Apparently Bananas Are As Bad For You As Cookies And French Fries? Over medium-high heat, place pork chops seasoned with salt and pepper in skillet and cook about 4 minutes each side depending on thickness. Make sure skillet is hot so you can get a good sear. When they're mostly done, remove and cover or put in warm oven. De-glaze the pan with chicken stock, bone broth, or white wine and scrape up all the bits at the bottom of the pan. Reduce to a simmer and whisk about 1 1/2-2 Tbs of Dijon mustard into about 1/3 cup of heavy cream and then dump that into the pan. The sauce will thicken up in a minute or two and just pour it on top of the meat and steamed veggies. Hang on to your hats today folks as we welcome in a bright young member of the Paleo community in Clark Danger. Yes, that's his real name and for a 21-year old he exhibits a maturity and knowledge base that will give you confidence about the future of the real food movement. Clark is already doing some amazing work at his "Dude! Where's My Health?" blog and as the host of one of the top-rated health podcasts on iTunes called "The Paleohacks Podcast." As you will hear, he is quite an articulate and opinionated voice--which makes him a perfect fit to talk about the health headlines of the day here on "Low-Carb Conversations!" Listen in as Jimmy, Cassie and Clark discuss the role your dental health can play on your cholesterol levels, the unintended consequences of developing super-antibiotics to combat the new "superbugs," nutritional myth busting hijinks, the influx of vegan propaganda in public schools, the "healthy" snacks you can consume in airports, whether America is ditching sugar at last, the effectiveness of 12 minutes of intensive sprint exercise weekly and so much more! So why don't you pull up a chair, grab a cup of coffee and let's talk. - Jimmy's blog post: "Could Your Poor Dental Health Be A Hidden Cause Of High Cholesterol?" - Is USA Finally Kicking Its Sugar Habit? Karen's blog is Living Low Carb...One Day at a Time (http://lowcarboneday.com) where she blogs about her low-carb, paleo journey and the delicious recipes she makes. She also has an ebook, "Awaken: 30+ Egg Free and Grain Free Breakfasts" for those low carb/paleo folks that are allergic to eggs or are looking for something different for breakfast. Don't miss this great comeback episode! CLICK HERE to donate and help this show come back! THANK YOU for your support! Episode 81 is a very special milestone! It is our last pre-cruise episode as well as marking the beginning of what we hope will be a brief hiatus. After the Low-Carb Cruise, Jimmy will start returning to his regular podcast schedule, and with a combination of luck and listener support, we're hoping for Jimmy to take up his seat on the Virtual porch this summer! In the mean time, today's episode has some great topics, including Gary Taubes' take on metabolism, Nonsensical yogurt ads, the dangers of a Ramen addiction and a ton more, so pull up a chair, grab a cup of coffee and let’s talk! As Jimmy finishes up work on his August 27, 2013 book release Cholesterol Clarity: What The HDL Is Wrong With My Numbers? , Cassie and Kevin host guests Rachel Flowers and Diane Tim on the Virtual Porch as they dig in to a conversation that touches on subjects as diverse as breast feeding, mortality from sugary drinks, eating to fight inflammation and much, MUCH more! So sit on down, grab a cup of coffee, and LET'S TALK! - Rachel is @rcflowers on Twitter. 1. Cut the tops off the squash. 2. Cut in 3- 4 pieces. 3. Boil in water til tender (just a few minutes). 6. Place in casserole dish. 7. Cover with the light layer of almond meal. 8. Bake at 350 til lightly browned (about 10- 15 minutes). Kandice Poirier of Glow So Healthy and Laura Thomas of Happy Sugar Habits join Dietitian Cassie in Episode 78 of “Low-Carb Conversations With Jimmy Moore & Friends!" While Jimmy is putting the finishing touches on his cholesterol book project, Cassie flies solo this week for a great interview with new friends Kandice and Laura. This week's topics include Coke's new formulation of their "Fruit Water" product, some speculation into Monster Energy Drink changing it's classification from "supplement" to "beverage," and why we equate love with food (and what to do about it). It's a great chat, so pull up a chair, grab a cup of coffee and let's talk! - How Did Our Brains Evolve To Equate Food With Love?